Every day our phone rings, and the caller will ask us if we can do some type of electrical work for them. Sometimes it’s repair work, other times it’s a new lighting installation. We have learned over the years there are going to be jobs that are easy to do, and jobs that are more difficult. This one was a more intricate installation than most. 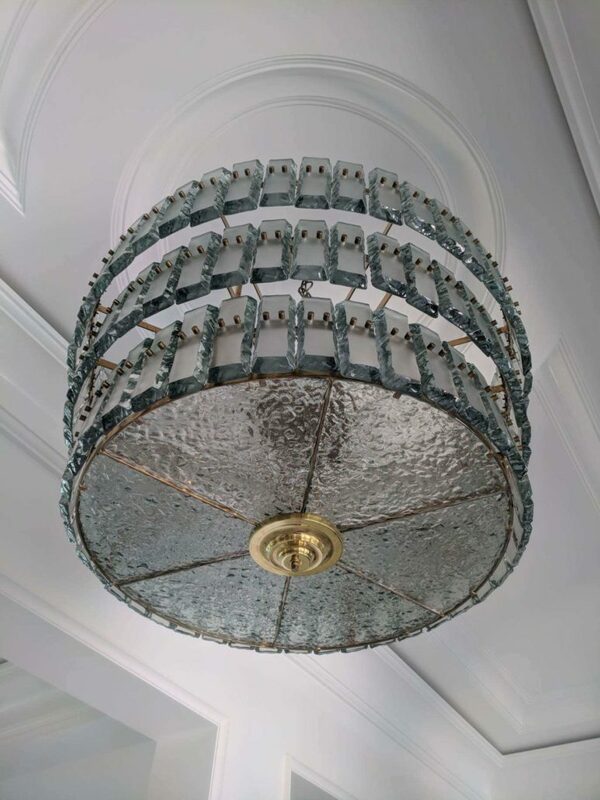 See all these pieces, they each had to be mounted individually and the fixture had to be installed in just the perfect position in this very special ceiling. This was not an easy install, and the pictures do not do it justice. 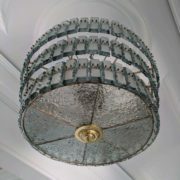 This chandelier is beautiful and it makes a statment in the home. Just take a look at this ceiling. 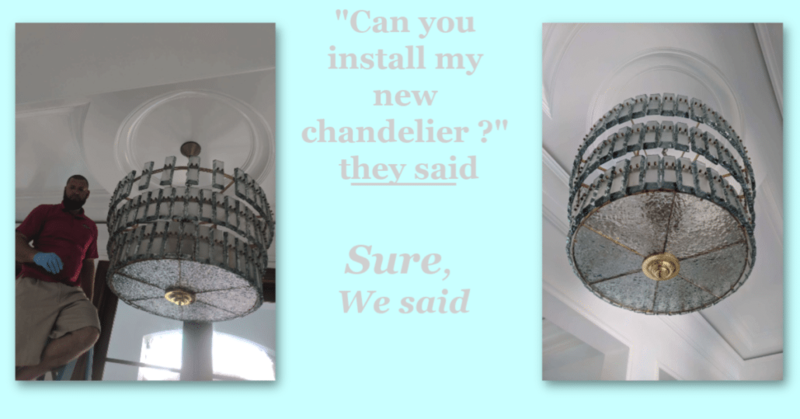 If you need a special type of lighting installed, or if you just need some new led lighting, we are your people for the job.